mAh per display square in. 229mAh/sqrin. 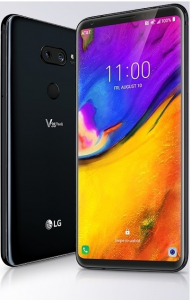 The LG V35 ThinQ features a premium-class screen identical to that of the V30S ThinQ's, in the form of a 6-inch 18:9 OLED screen boasting a 2880 x 1440 QHD+ resolution and a 538ppi definition, and it lets users remotely control or monitor compatible smart appliances through LG's ThinQ IoT (internet of things) -- though most smart appliances already come with an app of their own. 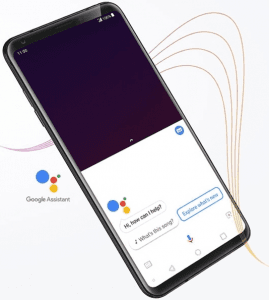 Also, it lines up with other high-ranking imaging smartphones with its dual 16-megapixel rear camera equipped with AI Cam, Google Lens, and UHD-2160p video-recording. 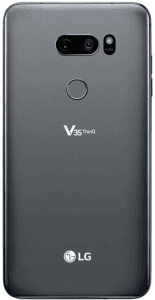 Pros and Cons Review The V35 ThinQ's pros, including its twin 16-megapixel rear cameras and 6-inch 2K-1440p display, try to overshadow cons like a middling (by flagship standards) 3300mAh battery. We unveil the remainder of its specs here. (more) New LG phones View all the new and upcoming LG phones.